If you are a hunter that likes to scout the areas you hunt in beforehand, then you know the importance of having a good trail camera. If you are like most hunters you simply don’t have the freedom to spend much time scouting for a game. 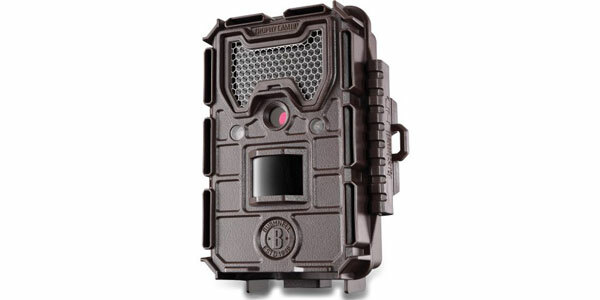 The Distianert Trail Camera is one that should accomplish this task nicely for you. 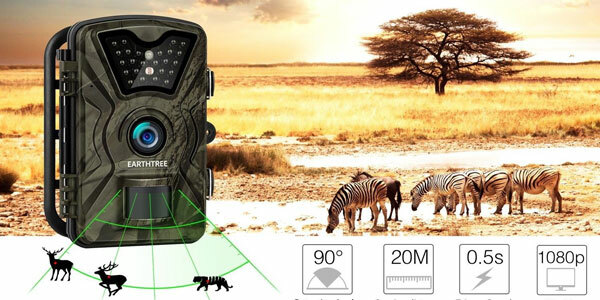 This is a really nice trail cam with some very good features. It offers a wide field of view and will shoot out to a good distance also. Best of all it offers you high-resolution video (1080P HD) with sound and high quality (12 MP) day and night photos too. It has 42 LED bulbs for its nighttime flash mode. These are low-glow LED bulbs which are hard for both humans (if you are using it as a security cam) and animals to detect the presence of the flash. 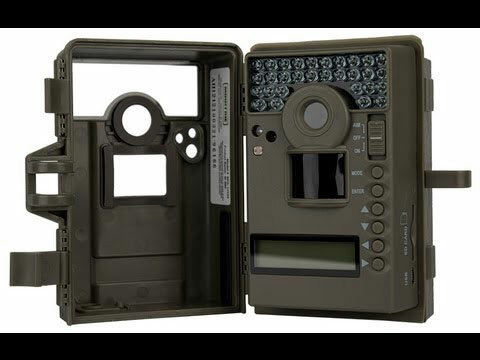 This trail cam has the ability to take and store of 30,000 photos once the separate SD card is purchased. 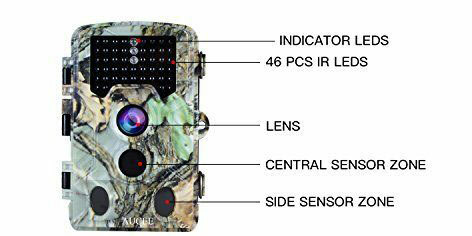 Programming a trail camera could not possibly be simpler than this one. It features a generous 2.4” display screen built right into it. You simply follow the onscreen instructions. You can even playback video and look at photos right on the display screen. This camera use 8AA batteries for power. If it’s programmed right the batteries will last you several months at a time before they need replacing. 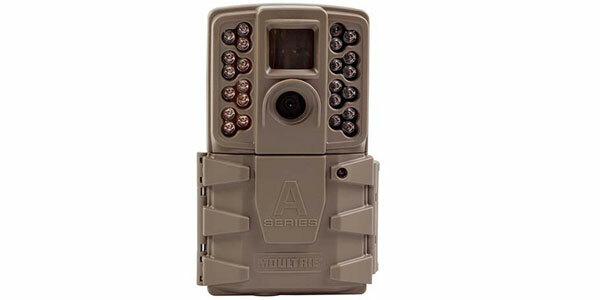 This is one tough game camera that can really handle the elements too. The body is made using durable materials like heavy duty plastic and it’s completely weatherproof also. It mounts on a tree or pole using its included 75” strap. 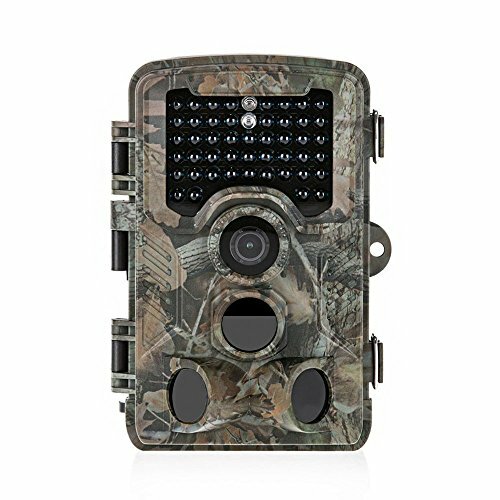 There are two things that really stand out to us with this model trail cam. The first is the where a wide area that it can take photos and videos in front the camera. For daytime viewing its sensor will trip when it detects movement up to 80’ feet away from the camera. At night it’s a little shorter 65’ feet distance from the motion sensor to work. 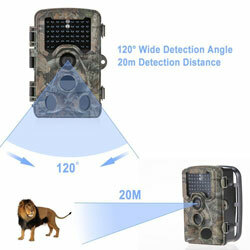 It will also scan a full 125° across the area in front of the trail cam. One other thing we like about this trail cam is its trigger speed. It will snap a photo or start a video in less than a second after it senses movement. That is as fast as any trail cam you will find. There is nothing special about the warranty that comes with this trail cam. Distianert will stand behind it for a period of 1-year from the date of purchase. 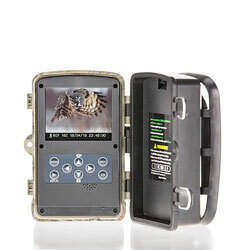 That is at or below the industry standard warranties for trail cams. 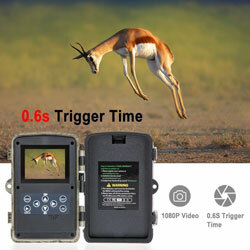 This game camera also functions best if you have a mini-SD card with a minimum of 16GB. You will need that much storage if you want to leave it in the woods for a long period of time. Sadly the mini-SD card is not included in the package and must be purchased separately. It’s easy to tell that a lot of thought went into the design of this trail cam. Everything from its fast shutter reaction time to its excellent photo resolution is exactly what you want in any trail cam you buy. 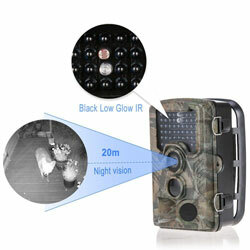 The Distianert Trail Camera takes very good night and daytime photos and videos too. It easily mounts on top of a tripod or you can use its included strap to place it on a tree. 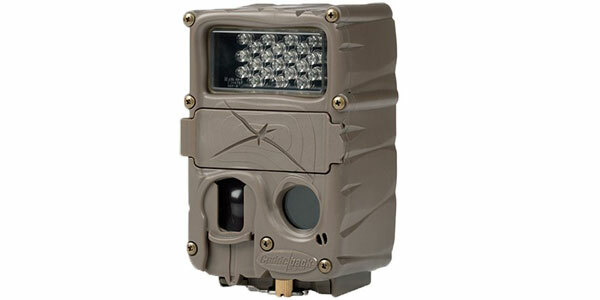 If you like what you read here this is definitely a trail camera worth considering purchasing.